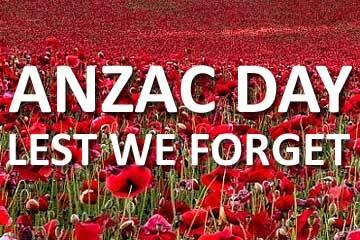 ANZAC DAY 25th April 2015……..
ANZAC DAY 25th April 2015……. ANZAC Day is one of Australia’s most important national commemorative occasions. It is a national day of remembrance in Australia and New Zealand that broadly commemorates all Australians and New Zealanders ‘who served and died in all wars, conflicts and peacekeeping operations’. Observed on the 25th April each year, Anzac Day was originally to honor the members of the Australian and New Zealand Army Corps (ANZAC) who fought at Gallipoli against the Ottoman Empire during World War I. This year marks the 100th anniversary of the Gallipoli landings and the birth of the ANZAC legacy. Once again here in the US, we celebrated ANZAC Day with the traditional dawn service. Members of the Canadian, British, American and Australian services turned out on a beautiful but stormy Georgia dawn to commemorate this very special occasion. The Happiest 5k on the Planet……. Super ‘running’ Man on the streets of Washington DC….